Known as the original Shark on the USA ABC’s hit show Shark Tank, Kevin Harrington is an internationally acclaimed speaker, coach, celebrity entrepreneur and one of the most successful business experts of our time. Kevin is also the inventor of the Infomercial, and pioneer of the "As Seen On TV" industry. He has launched over 500 products resulting in more than $5 billion in sales worldwide. Kevin will share his insights and secrets to turn your napkin idea into a winning business, whether it’s a startup business idea, a new product or if you just want to future-proof your business. He will give you the secrets to his many successes; you'll learn how to craft a perfect pitch, and the difference between an excellent pitch and a bad pitch. He'll share how he came to have international success in over 100 countries, proven tips on marketing and branding, and how to become a key person of influence. Kevin will also share some insights into the latest trends and technologies so you can stay on top! Imagine seeing live on stage innovation pitches being judged for potential launch internationally by a US business icon. That is exactly what you will see at our Pitch Tank Event. 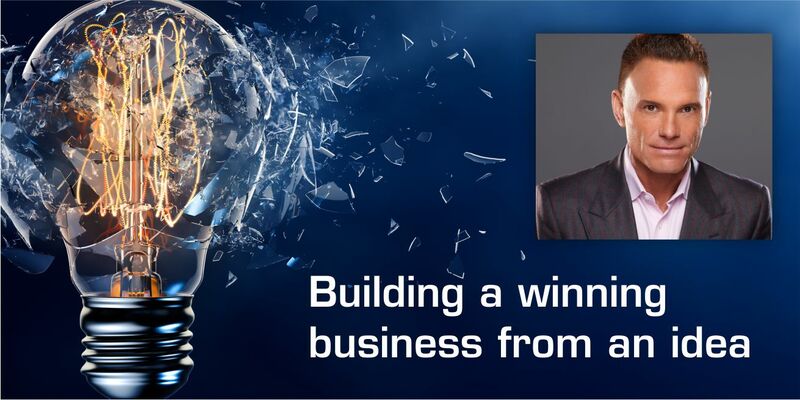 Known as the original Shark on the USA hit show Shark Tank, Kevin Harrington is an internationally acclaimed speaker, coach, celebrity entrepreneur and one of the most successful business experts of our time. Kevin is also the inventor of the Infomercial, and pioneer of the "As Seen On TV" industry. 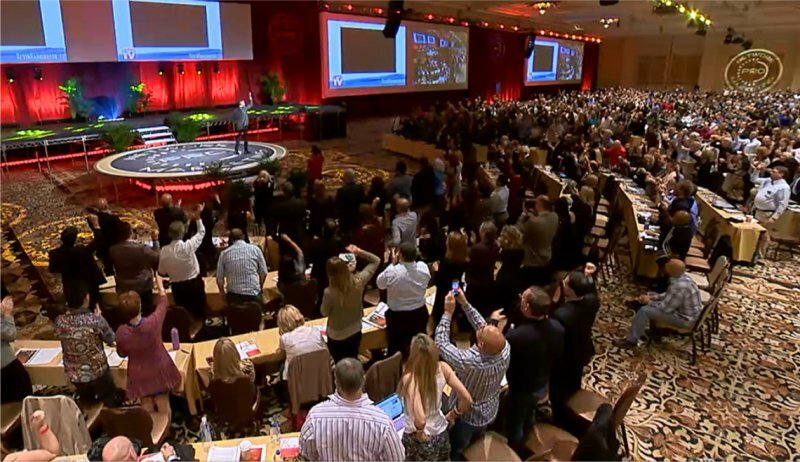 He has launched over 500 products resulting in more than $5 billion in sales worldwide. In this first visit to Brisbane by an original USA Shark, Kevin will judge the CLICK! 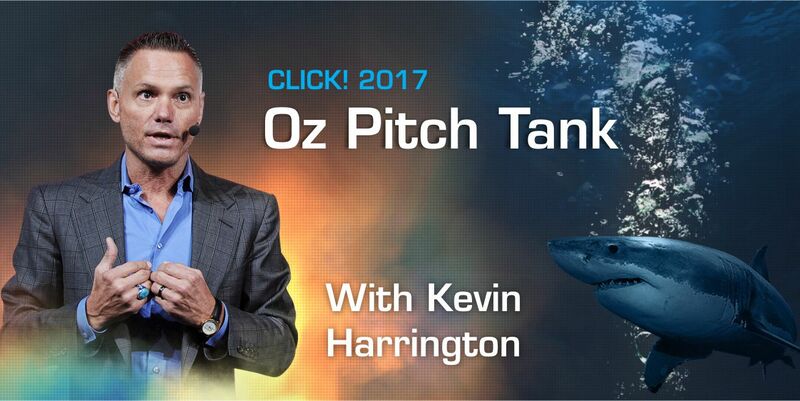 2017 Oz Pitch Tank, a sharp, fast-paced pitching event for aspiring SEQ innovators and entrepreneurs. There will be an opportunity for five products, inventions or ideas to go in front of the original Shark, that may have the prospect of going global through Kevin’s Australian partner OzInnovators. If you would like to submit your idea or product to pitch at this event, just complete the online form here and one of the OzInnovators team will contact you, or just be in the audience to be part of the excitement! VIP and Premium delegates only. Kevin Harrington is a US Entrepreneur, inventor of the infomercial, original Shark on US Shark Tank and Pioneer of the "As Seen On TV' Industry. He talks to Pop Up Radio about building a winning business from an idea. Kevin Harrington is a USA Entrepreneur and original Shark and talks to Pop Up Radio about building a winning business from an idea. Kevin Harrington has been a successful entrepreneur over the last 40 years. He is an original Shark on the ABC hit, Emmy-winning TV show, Shark Tank. He is also the inventor of the infomercial, 'As Seen On TV' pioneer, co-founder of the Electronic Retailers Association (ERA) and co-founder of the Entrepreneurs’ Organization (EO). Kevin has launched over 20 businesses that have grown to over $100 million in sales each, has been involved in more than a dozen public companies, and has launched over 500 products generating more than $5 billion in sales worldwide with iconic brands and celebrities such as Jack Lalanne, Tony Little, George Foreman, and the new I-Grow hair restoration product on QVC. Kevin has extensive experience in business all over the world, opening distribution outlets in over 100 countries worldwide. His success led Mark Burnett to hand pick Kevin to become an original Shark on Shark Tank where he filmed over 175 segments. Kevin currently operates a private consulting firm where he: works with companies to increase distribution; analyzes electronic retailing opportunities; effectively markets on digital, social media, TV, radio, or print; sources manufacturing; nurtures celebrity relationships; opens up his rolodex; and has been able to increase the stock price of several public companies x 10. In today’s competitive world, companies cannot operate the way they have in the past because of the advancements in technology and the digital marketplace. Kevin provides advice and expertise on how to navigate the constant changing distribution and marketing outlets. Kevin also brings his rolodex and relationships to all companies he works with, including help in financing, like he did with Russell Simmons and Celsius. Kevin got his start as a young entrepreneur in the early '80s when he invested $25,000 and launched Quantum International. This turned in to a $500 million per year business on the New York Stock Exchange and drove the stock price from $1 to $20 per share. After selling his interest in Quantum International, he formed a joint venture with the Home Shopping Network called HSN Direct, which grew to hundreds of millions of dollars in sales. Entrepreneur Magazine has called him one of the top entrepreneurs of our time. Aside from speaking to audiences across five continents, Kevin’s influence has reached over 100 million people through his multi-media presence and industry dominance. A prominent business thought leader, he is often featured and quoted as a business leaders in the Wall Street Journal, New York Times, USA Today, CNBC, Forbes, Inc., Entrepreneur, Fortune, The Today Show, Good Morning America, CBS Morning News, The View, Squawk Box, Fox Business, and more. He is a regular contributor to Forbes.com and Inc.com, and has published acclaimed books like Act Now! How I Turn Ideas Into Million Dollar Products as well as the best seller, Key Person of Influence. He is a co-founder of the EO (Entrepreneurs Organization), which has grown to 45 countries and thousands of members, generating over $500 billion of member sales. In 1990 he co-founded the global direct to consumer organization and trade show, the Electronic Retailers Association (ERA). Today ERA is the exclusive trade association to represent a global $350-billion direct-to-consumer market place, encompassing 450 different companies in 45 countries. The true value of Kevin is not only the 40 years of his knowledge of building businesses, but also what he can do for other companies in many industries with his global Rolodex and his ability to solve problems.